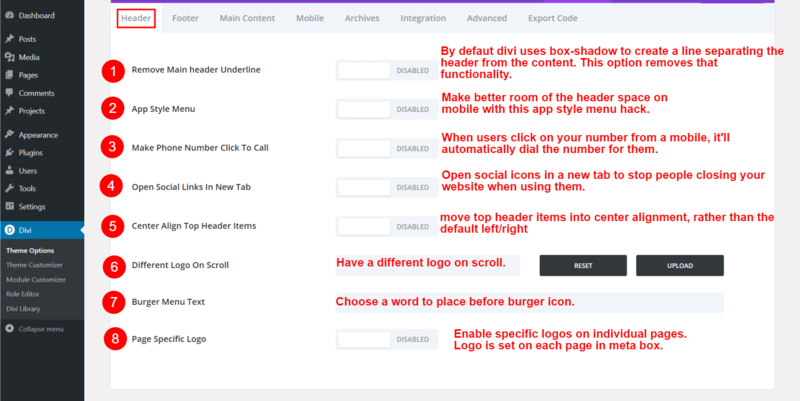 Remember: In order for the Divi Switch Plugin to work, you must have Divi from Elegant Themes. If you do not have it you can purchase it here. Once you have it, please install it on your self-hosted WordPress website. Divi Switch makes customizing the Divi Theme easier than ever. Install the plugin and take advantage of a series of new ‘switches’ in your Divi theme options, each one makes powerful visual changes to Divi. Download the plugin zip file and install through your plugin options like normal. Complete the activation of the plugin by registering your license key. Now head on to the Divi Theme Options page where your new switches will be waiting for you. 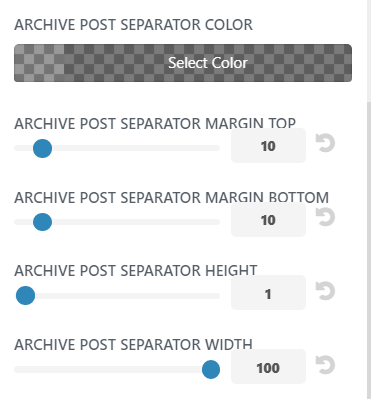 Yes, we have moved the settings from it's separate place in the admin menu to the Divi Theme Options Page! Once you’ve installed Divi Switch correctly, you can head over to the Divi Theme Options Page where you’ll find your new ‘switcher’ ready to use. Each toggle has a title, short description and a shadowed out switch set by default to "Disabled". If you want to activate the effect, just click on the switch and it’ll toggle to "enabled" and turn blue. You need to save your changes after enabling or disabling one or more Divi Switch toggles. By default, Divi uses box-shadow to create a line separating the header from the content. This option removes that functionality. 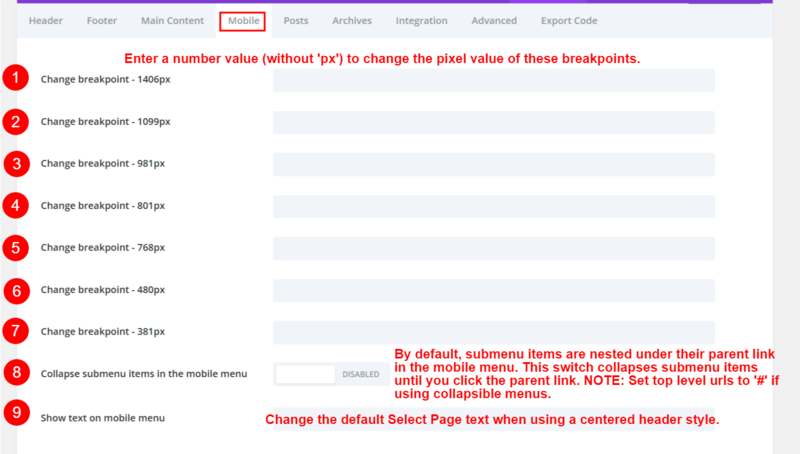 Make better room of the header space on mobile with this app style menu hack. When users click on your number from a mobile, it'll automatically dial the number for them. Open social icons in a new tab to stop people closing your website when using them. Move top header items into center alignment, rather than the default left/right. Have a different logo "on scroll" by uploading the alternate logo using the Upload button. Change your mind? Press "Reset". Choose a word to place before the burger icon. Change your mind? Erase. Enable specific logos on individual pages. The logo is set on each page in a meta box. Change your mind? Remove the image. Replaces the fullscreen menu with a Divi Library layout. Removes the footer bullets and repositions the links properly. Remove the bottom footer, the one with the ET links. Pages with little or no content show the bottom footer in the center of the page. Not any more. Replace the footer area with a Divi Library layout. Get rid of the thin grey line that separates the sidebar from the main content. Change your mind? Select the blank option. Set the aspect ratio of images in the portfolio grid. Stop the gallery from opening up the lightbox when clicked. Set the default transition of the slide description. Set the default transition of the slide image and video. This unregisters the project post type. Select a page to be displayed when maintenance mode is on. Select a page to be displayed when a 404 Not Found error occurs. Enter a number (without 'px') to change the pixel value of the above breakpoints. By default, submenu items are nested under their parent link in the mobile menu. This switch collapses submenu items until you click the parent link. NOTE: Set top level urls to '#' if using collapsible menus. 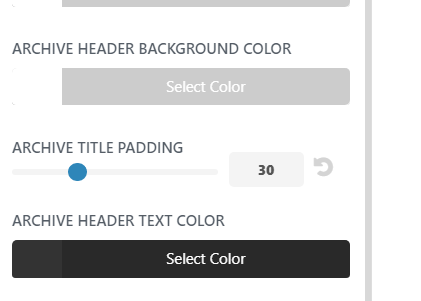 Change the default Select Page text when using a centered header style. Change your mind? Erase the text. Move the comments into a toggle so they are hidden by default. Add category title to the top of category pages - Can be customized within the Customizer. Adds a simple read more link under each post. Adds a separator line under each post. This can be further customized within the Customizer. Insert a Divi Library layout before the main content, under navigation. Insert a Divi Library layout after the main content, above the footer. 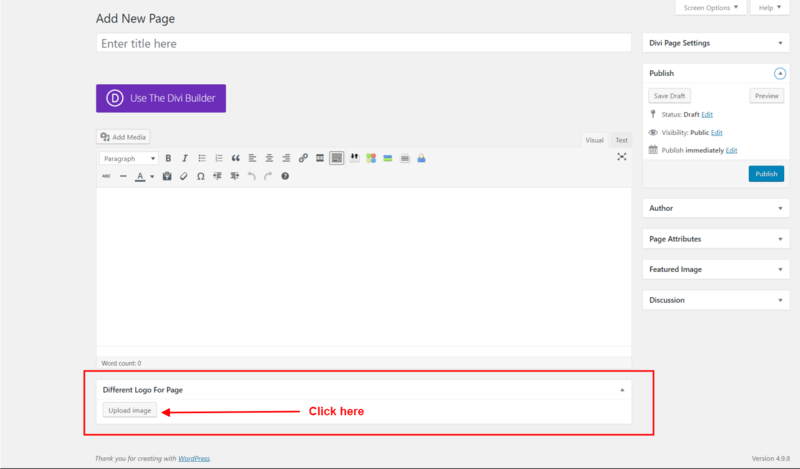 Insert a Divi Library layout before the post content, below navigation. Removes the update count from the WordPress Dashboard. Allows SVG files to be uploaded, which WordPress blocks by default. Click on Export if you want to export your settings to another site that also has Divi Switch installed and vice-versa. Export the code generated by Divi Switch into a lightweight and custom branded plugin to install on your clients’ sites! You can quickly and easily deploy your favorite Divi Switch code without having to install the Divi Switch plugin itself. Enter the plugin name that should be displayed when the exported plugin is installed. Enter the plugin description that should be displayed when the exported plugin is installed. Enter the plugin author that should be displayed when the exported plugin is installed. Enter a URL for the plugin author. Enter the version number that should be displayed when the exported plugin is installed. Will Divi Switch work with Extra? No, but there’s an Extra Switch in development so stay tuned. Can I add my own color schemes to buttons etc? Yes, We’ve listed the hex values for the six color schemes at the top of the plugin style sheet. You can simply ‘find and replace’ those values using any decent text editor. Is this the same as Divi Booster? No. Both are great plugins and both do different things. If you’re serious about customizing Divi then we’d suggest owning both. Will I lose my changes if I uninstall the plugin? You need the plugin to be active to take advantage of the customizations. Changes are stored within the plugin. However, if you deactivate the plugin or need to reinstall for any reason, your toggle choices will be saved and will activate as soon as the plugin is activated again. Some switches try to do the same thing. The App Style Menu & The mobile Menu on the desktop, for example, both try to realign the logo and navigation items. If both are activated then neither will work as expected. There are two side menu toggles but only one should be used. If you notice a switch not behaving as you would expect, look for a switch that may be causing a compatibility issue. 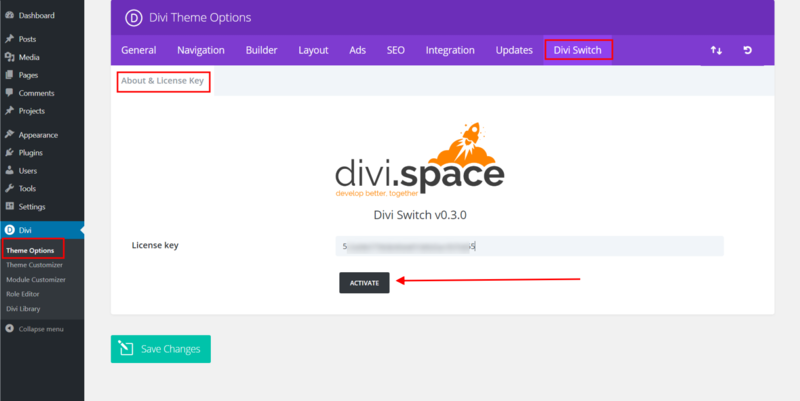 If you’re using Divi Switch on an already heavily customized version of Divi then you may find some switches behaving oddly. Always check how a switch is behaving when activated.